A closet full of clothes all the same color is boring, right? So why not bring some life back to those old white shirts, blouses or tops before the moths get at them. It's really quite simple — all you need is some dye. Try out one of the three techniques below and see the results for yourself. Wow, it's as if you've bought a new top! 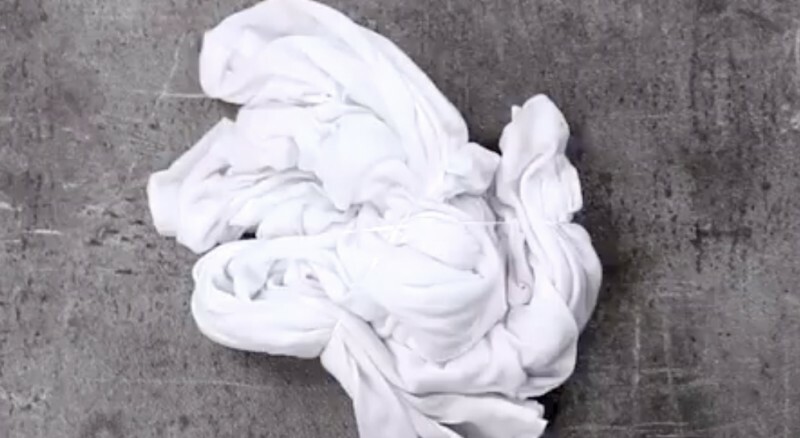 For each technique, it's important to begin by soaking the item of clothing in a water and washing soda solution. You also need to think about which colors you'd like to dye the clothes. Whatever you choose to do, you'll need some dental floss, an oven grate and some baking parchment to protect the worktop. 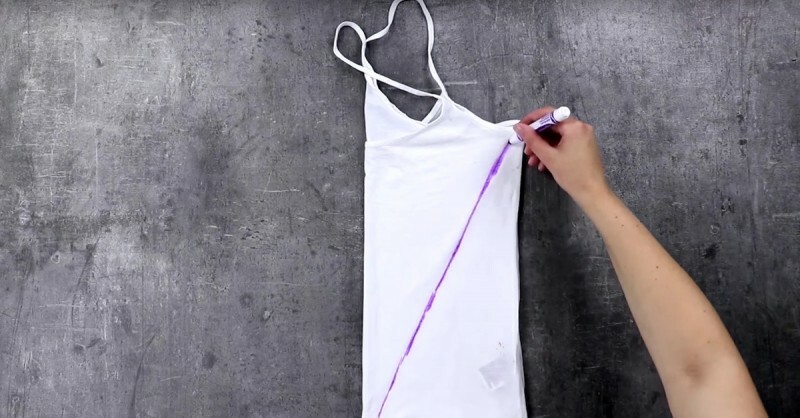 For this technique, you'll need a textile marker to go with the items listed above. First fold the top in half and draw a diagonal line across it. The line is used as a point of reference for scrunching up the top. This line should be somewhere near the center. Now take the dental floss and wrap it around the marked area in the center and make a knot. Do this several times until the item of clothing looks a bit like a sausage. Now place the clothing on the oven grate and follow the instructions on the textile dye packaging. 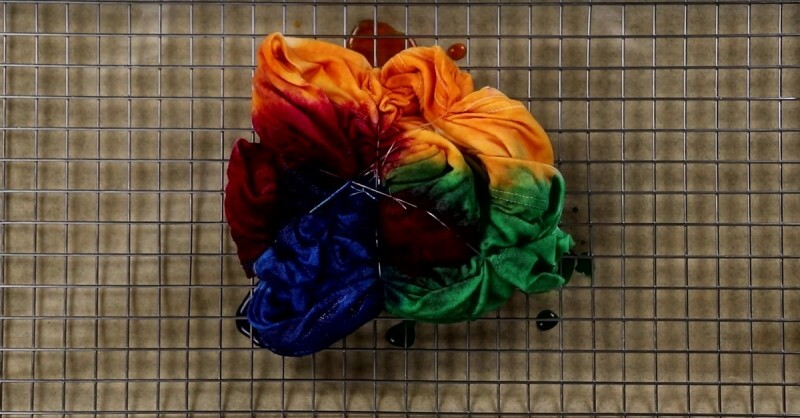 The dye usually needs to be left for one hour. 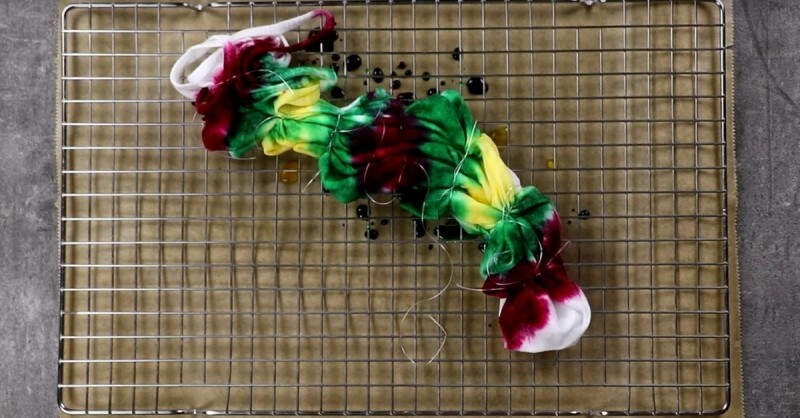 For the classic tie-dye effect, you can drizzle the dye in rings on the item of clothing. As the title suggests, you'll need to use a kitchen roll tube for this hack. 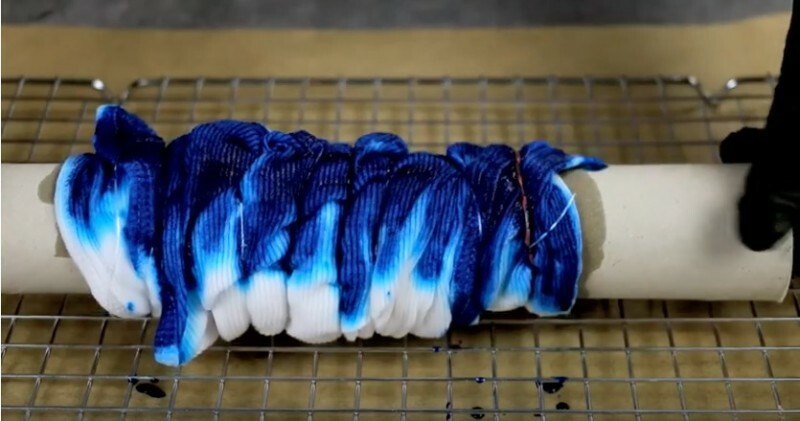 You proceed in a similar way to the first technique, but instead roll up the item of clothing you'd like to dye using an empty kitchen roll tube. Hold the top in place on the tube using an elastic band before wrapping a long piece of dental floss around the whole lot. Now place it on the oven grate. You can dye half of the roll in one color and the other half in another. For this method, spread the top out in front of you and pinch the center of it. Now wrap the rest of the top around this point in a circle. Use dental floss to fix the circular shape in place, knotting it three times at regular intervals. The top is to be placed on the oven grate and you can add four different types of dye on each part of the clothing. The great thing about these methods is that you can experiment with different colors, styles and patterns. Let your imagination run wild! Which is your favorite style? Maybe try them all out to see which one comes out best!